This is the lower bearing on a Cane Creek IS8I headset that came with my carbon frame. I removed my fork for the first time today and saw that it has quite a bit of rust. Should I replace the headset? Is this normal for rust to occur like this? If not, what would cause this and what can I do to prevent it in the future? From the Cane Creek description of this headset is "replaceable stainless steel sealed cartridge bearings with neoprene bearing seals; steel crown race with integrated rubber seal." Does that mean the rust is most likely from the crown race? 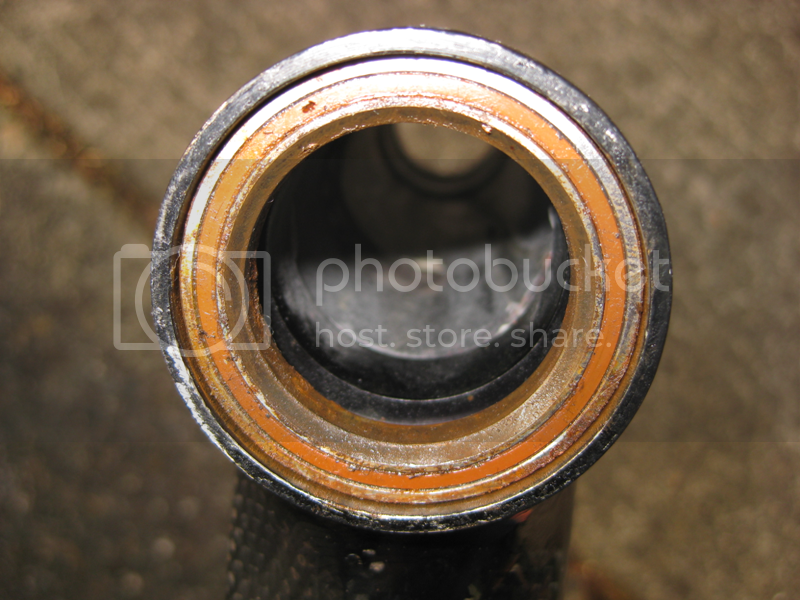 It definitely looks like surface rust on the bearings themselves. Does anyone know if these are the correct replacement bearings? Do the bearings still rotate smoothly and with no play? If so, just wipe off the superficial rust and grease everything heavily to prevent water getting in the the future. Then reassemble the headset and ride. 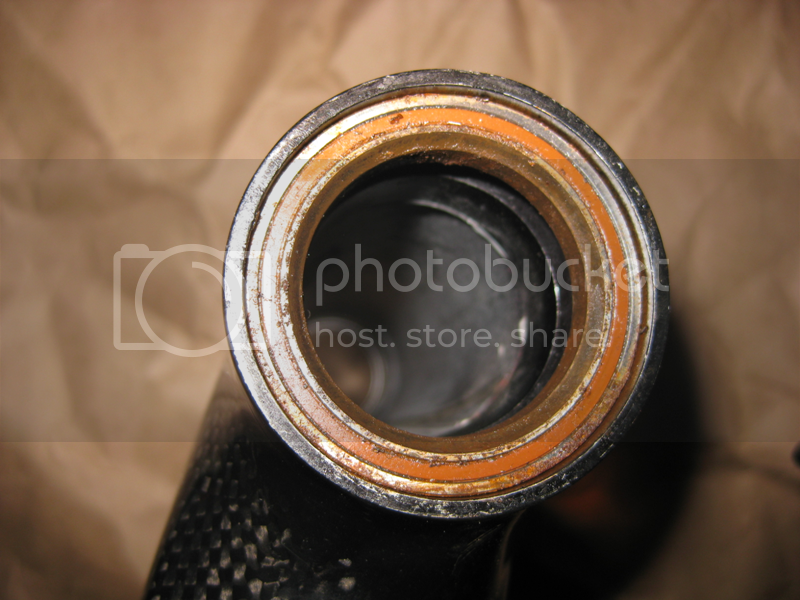 Cartridge bearings are pretty well sealed and grease filled initially so, unless yours are obviously damaged, they should be usable. Go pick up the stainless cart bearings if you're worried and don't do much maintenance. Clean that garbage we see in the pic and grease heavily and reinstall like hillrider said. You don't want to be coming back and asking us how to remove seized in cart bearings on a hs. Cool, thanks guys. How do you grease them since they are sealed? Just rub a bunch of grease on the outside and spin them a bit?